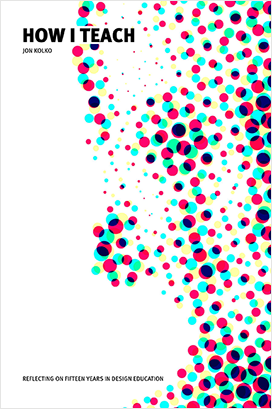 There are two paths of design, diverging. 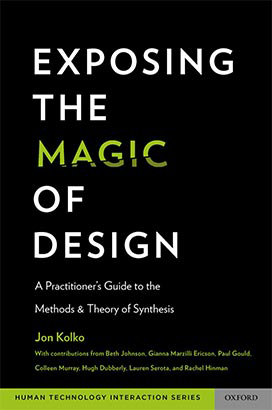 There are people and firms practicing design thinking by making things, driven by practitioners aware of the history of making things and skilled in the craft of making things. And then there are people and firms practicing design thinking by, well, thinking about things. The difference is profound. 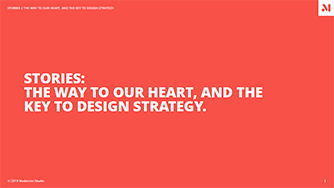 Stories: The way to our heart, and the key to design strategy. .pdf of presentation at IxDA 2019. I'm a Partner at Modernist Studio. Modernist is a strategy and innovation company; we help our clients build a design strategy and launch great new products and services. I founded Austin Center for Design, a design school in Austin, Texas, in 2009. At AC4D, we teach autonomy through design. Unveiling the Magic of Design Published in Rotman Magazine, Winter, 2011. On Academic Knowledge ProductionPublished in interactions magazine, September, 2010. On EducationPublished in interactions magazine, July, 2010. On Language and PotentialPublished in interactions magazine, May, 2010. Sensemaking and Framing: A Theoretical Reflection on Perspective in Design SynthesisPublished in 2010 Design Research Society conference proceedings. Designing in the Face of Change: The Elusive Push Towards Emotionally Resonant Experiences Published in The New Review of Hypermedia and Multimedia, published by Taylor and Francis. 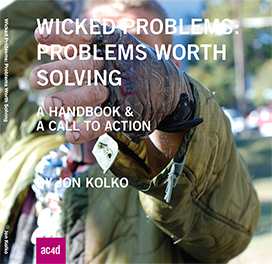 Abductive Thinking and Sensemaking: The Drivers of Design SynthesisPublished in MIT's Design Issues, 26:1, Winter 2010. The Authenticity ProblemPublished in interactions magazine, November/December, 2009. On Hopelessness and HopePublished in interactions magazine, July, 2009. 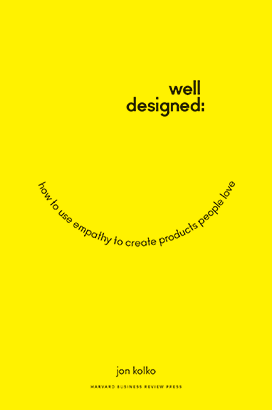 Our Misguided Focus on Brand and User ExperiencePublished on Johnny Holland, December 1st, 2009. The Tenuous Relationship Between Design and InnovationPublished in Artifact Magazine, Volume 1, issue 3. Information Architecture and Design Strategy: The Importance of Synthesis during the Process of Design.Published in the IDSA 2007 Conference. Information Architecture: Synthesis Techniques for the Muddy Middle of the Design ProcessPublished in the 23rd International Conference on the Beginning Design Student. Design as Communication: The Increasing Case for Literacy in AcademiaPublished in the IDSA 2005 Conference. New Techniques in Industrial Design EducationPublished in the 6th International Conference of the European Academy of Design. TRIBA: A Cable Television Retrieval and Awareness System Published in the 2005 Computer/Human Interaction Conference proceedings. 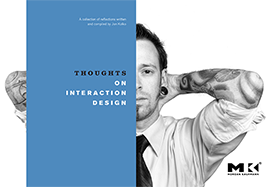 Mixing Disciplines in Anticipation of Convergence: A Curriculum for Teaching Interaction Design to Industrial DesignersPublished in Interactions Magazine. User-Driven Brand Design : Establishing a Convergent Brand ExperiencePublished in Tweak, Q4/03. I blog at Modernist Studio and somewhat irregularly at Austin Center for Design. 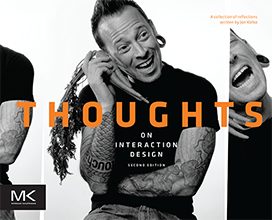 April 23, 2018 How Does a Design Strategist Think? We all know it’s important to be “user centered.” When we move pixels around and build flows and put pieces and parts together, we’re in the pragmatics of building and shipping products and user-centeredness is clear. 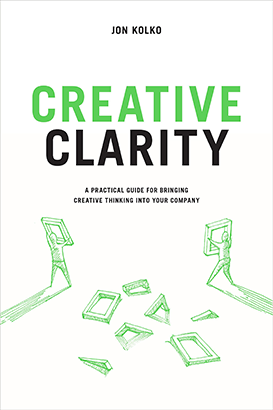 But what about strategy – how do we put people at the center of a design strategy? I've offered a few of my courses online. Before you take them, you might consider reading this post that describes my skepticism with online learning, or this post that describes how Udemy is an emperor with no clothes.